7 Free web and mobile browser mockups is another new addition to your ever-growing list of freebies. 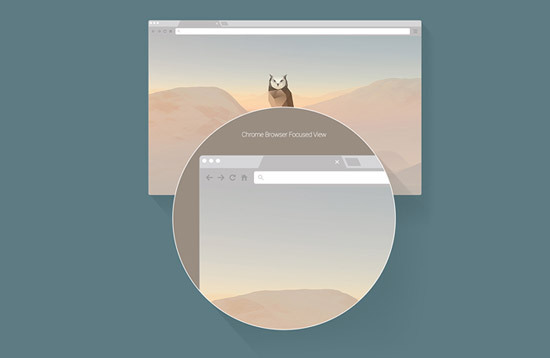 These vector mockups feature popular browsers such as Chrome, Safari and Mozilla, which are displayed on 3 different screen sizes including Desktop, iPhone 6 and Nexus 6. Other highlights of this mockup collection includes 2 attractive design themes (Color Fill and Outlined). That’s not all these flat browser mockups are sure to help you save time and money for those app, web and ui/ux design projects. Don't want to credit ZippyPixels?